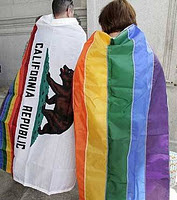 'By using their initiative power to target a minority group and withdraw a right that it possessed, without a legitimate reason for doing so, the people of California violated the Equal Protection Clause. We hold Proposition 8 to be unconstitutional on this ground. The case is destined for further review – perhaps 1st for a 9th Circuit en banc hearing, but eventually, and most surely, for a hearing before the U.S. Supreme Court.